The third ship to join Azamara’s fleet, Azamara Pursuit is the latest to set sail from the cruise line. 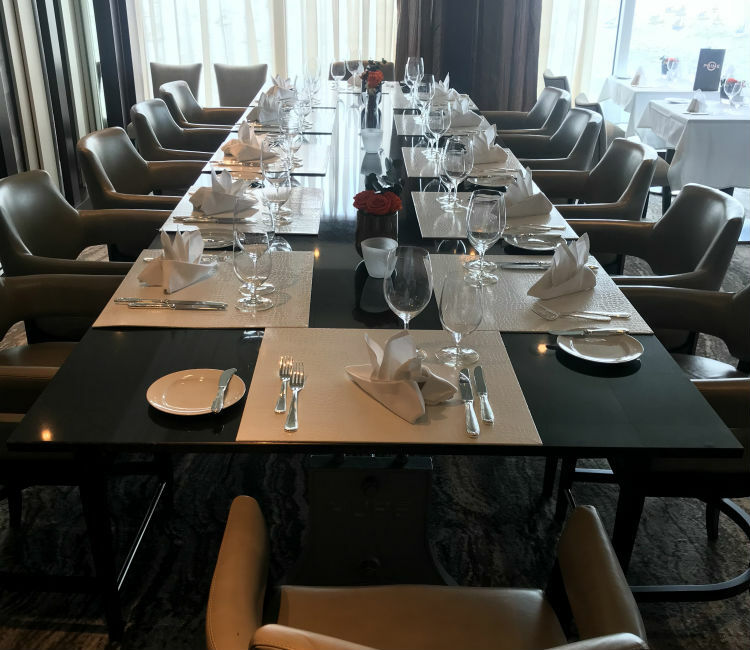 She is almost identical to her sister ships – Azamara Journey and Azamara Quest – and offers 50 new itineraries, 73 new destinations and 19 maiden ports. 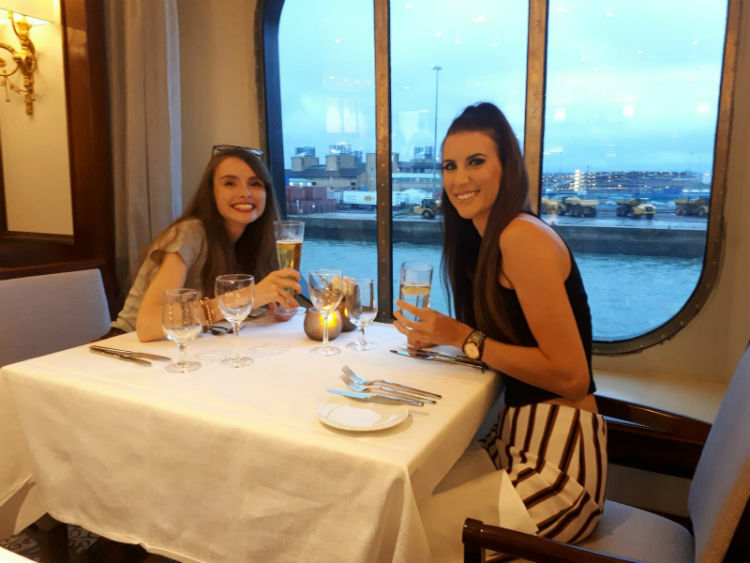 She launched on the 1 August 2018, see how our Marketing Executive, Rachel Wright and Senior Product Executive, Rebecca Peacock enjoyed their time on-board as they had a sneak-peek at this stunning new vessel! After having driven a few hours down to Southampton, we were eager to get on-board Azamara Pursuit and explore. 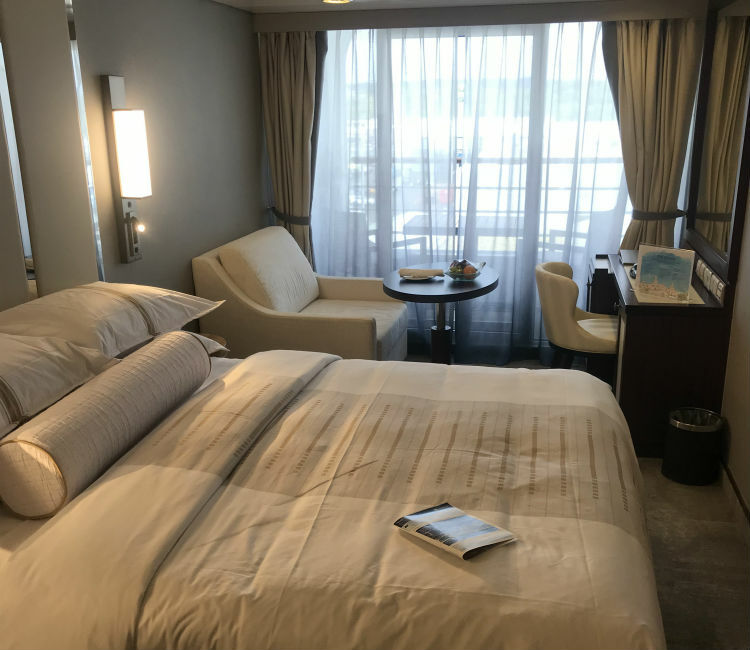 Embarkation was very quick and easy and we were welcomed with a glass of champagne and guided to our room by members of friendly staff along the way. The decor on-board is modern and contemporary, with a luxurious dark wood throughout which adds an air of decadence to the ship. 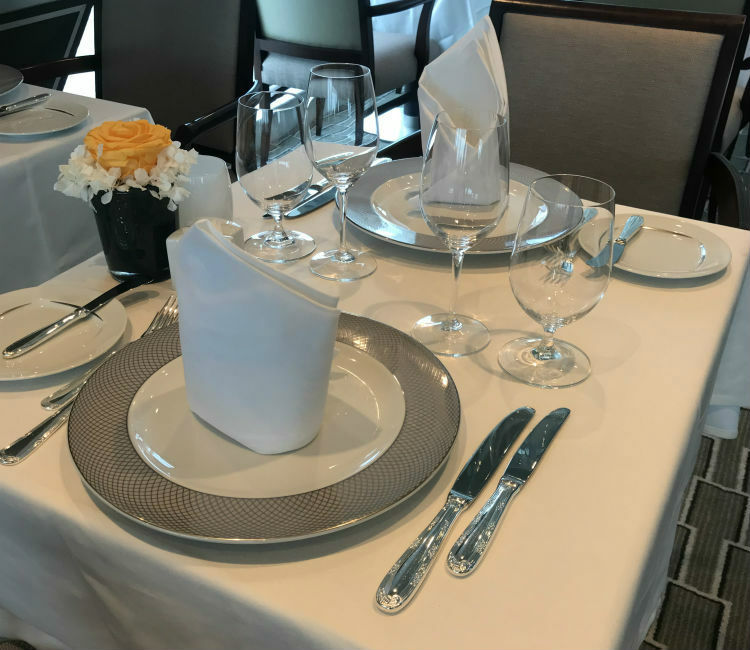 We arrived to a Club Veranda Stateroom, which mirrored the decor of the ship and was well presented with grey and cream colour schemes throughout. 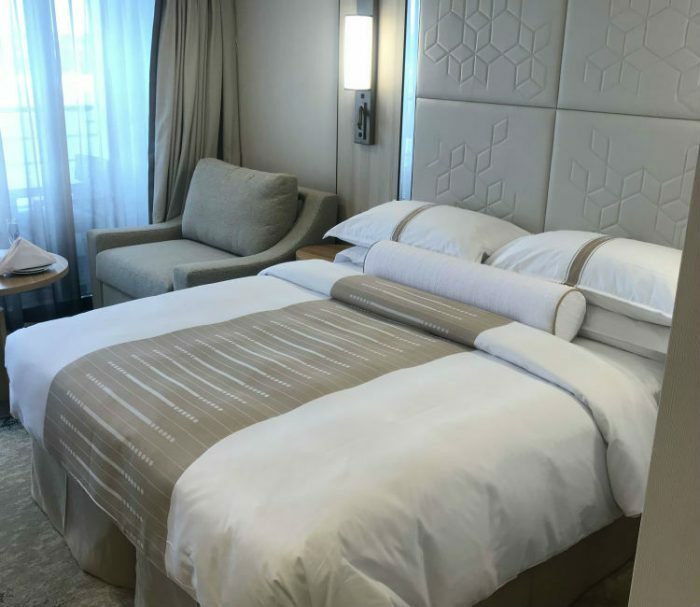 In this stateroom, standard features include a Queen size bed with luxurious cotton bed linens – which can be converted to two twin beds – a sitting area with 40″ flat-screen TV, refrigerator, USB ports for charging mobile devices, bathrobes and slippers, as well as complimentary use of umbrella and binoculars. Guests also receive a welcome fruit basket at embarkation and fresh-cut flowers within their stateroom. We thought the room was beautiful, with fantastic lighting from the balcony and plenty of storage. The air-conditioning was switched on upon arrival and we struggled to adjust the settings. However, we called a member of staff from the corridor to help who arranged for someone to come and fix it straight away. 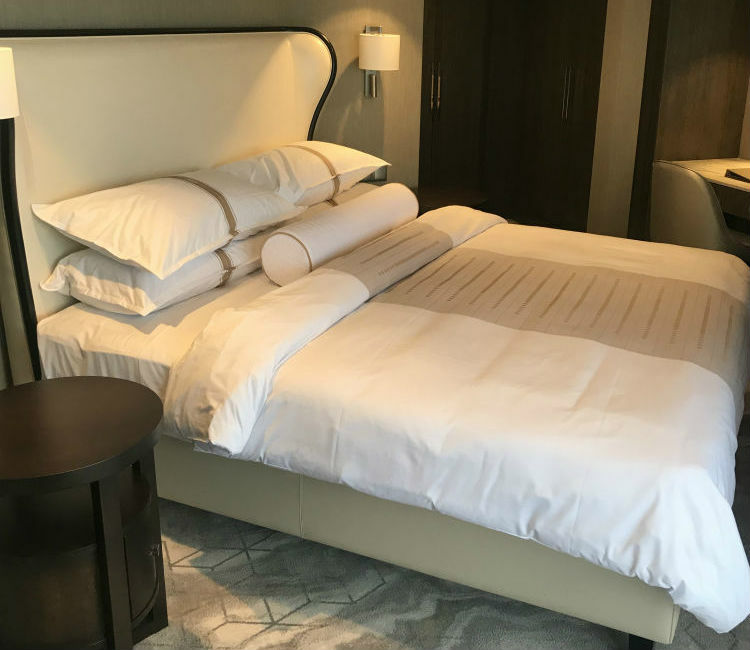 We explored the range of accommodation on-board Azamara Pursuit, starting with the Club Interior and Club Oceanview Staterooms. The decor of these is similar to the ship – featuring light and modern fittings and a high quality finish. Though the bathrooms as a little smaller, there is still enough room inside. We also visited the Club Continent Suite, which is just one upgrade from our Club Veranda Stateroom. 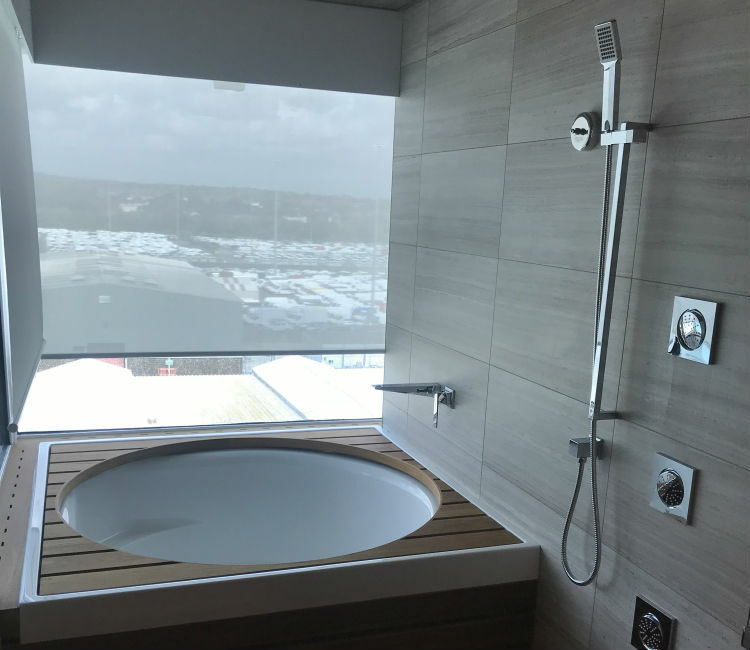 The difference in size was noticeable and was much bigger in general – with both the bathroom and balcony much more generous in the suite. 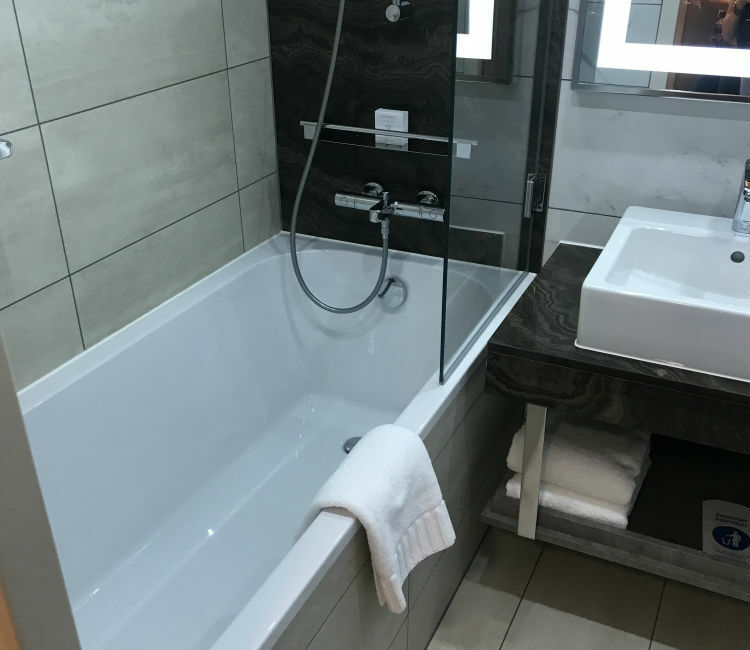 These suites mainly feature a wet room shower, though this one also included a bathtub. Other features include floor-to-ceiling sliding glass doors on to a 60 sq.ft. balcony and complimentary speciality dining. Other suites we visited included the Club Spa Suite which was very generous with space and set across the bedroom, bathroom, sink area, wardrobe and separate toilet. The bathroom included a whirlpool bath and wet room shower, while the sink area comprised two sinks and floor-to-ceiling mirrors. The overall look was light and contemporary. The last suite we visited was the Club World Owner’s Suite which boasted the same decor and also had a separate toilet as well as an additional living area where guests could enjoy socialising. From here you could access the bedroom, with an electric door in between to restrict access. The balcony in this suite stretched across the whole width of the suite to 233 sq. ft. with floor-to-ceiling sliding glass doors in both the living room and master bedroom. We have initially been scheduled to sail to Guernsey, however, due to the bad weather conditions, we remained in port for the two nights. Instead, Azamara organised a shuttle bus during the day into Winchester and West Quay so guests could still explore the local area and get off the ship if needed. On-board, Azamara have removed all casinos from their ships and replaced them with a bar area named The Den. Here, guests can enjoy their favourite tipple while listening to an outstanding live pianist. 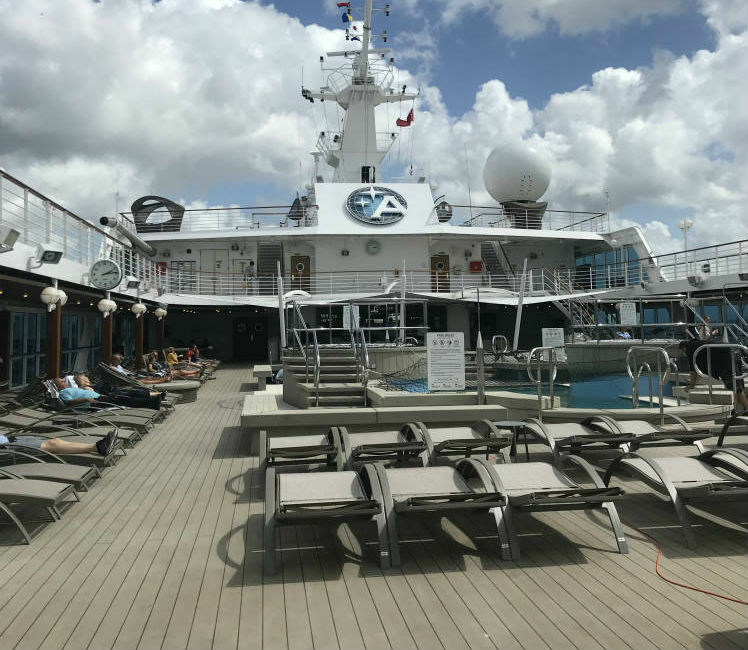 We also visited the Cabaret Lounge on this deck which showcased a preview of the live entertainment to be expected on-board, including music by ABBA and the Four Tops. During the day, this lounge also screened Mamma Mia for guests to watch. There are also a number of shops on deck 5, boasting a full variety of products such as clothing, bags, jewellery, food and drink. On deck 9, there is a pool deck with two hot tubs and a small pool. Unfortunately, these weren’t open but there were plenty of sunbeds and areas to sit and sunbathe as well as a large bar at the end and the Windows Cafe at the other. The Sanctum Spa also features on this deck, with several treatment rooms and a great menu of indulgent experiences to guests to enjoy. 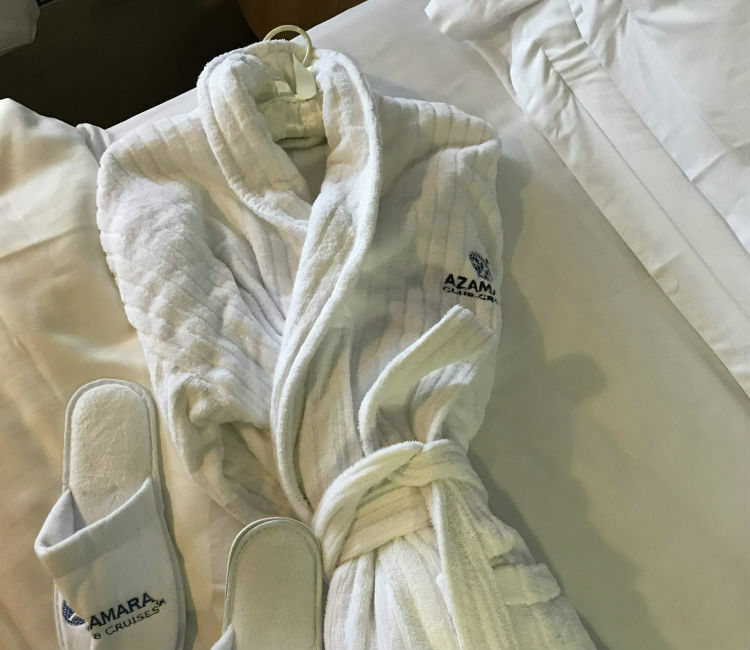 We were given a tour of the spa and the staff explained some of the treatments available to book on-board. There is also a fitness centre on deck 9, where guests can join yoga or meditation classes in the morning. Deck 10 offers further fitness facilities with a jogging track overlooking the below pool deck area and table tennis in the corner. Also on this deck is the Living Room, where we enjoyed a disco at night which played music of all genres. During the day, this venue has a collection of board games to play and challenge family and friends on-board. We visited the buffet at breakfast, where dishes include cooked breakfasts, fruit, yoghurt, cereals, pancakes and waffles, as well as fresh omelettes to order. The variety of food was fantastic, meaning that there was something for everyone to start their day off with. At lunch we dined in the Windows Cafe where we ordered nachos and baked potatoes. There is also a good range of freshly cooked foods such as burgers, hot dogs, sandwiches, chicken wings and fries. We would have loved to have dined in the Prime C speciality restaurant, but this was fully booked once we got on-board. Instead, we ate in the Discoveries Restaurant which was just as enjoyable. Friendly staff greeted us at the door, took our drinks and showed us to our table, offering us more drinks as soon as we sat down. Fresh bread was served while we waited for our food, with both starters and appetisers a good size to enjoy before our main meal. 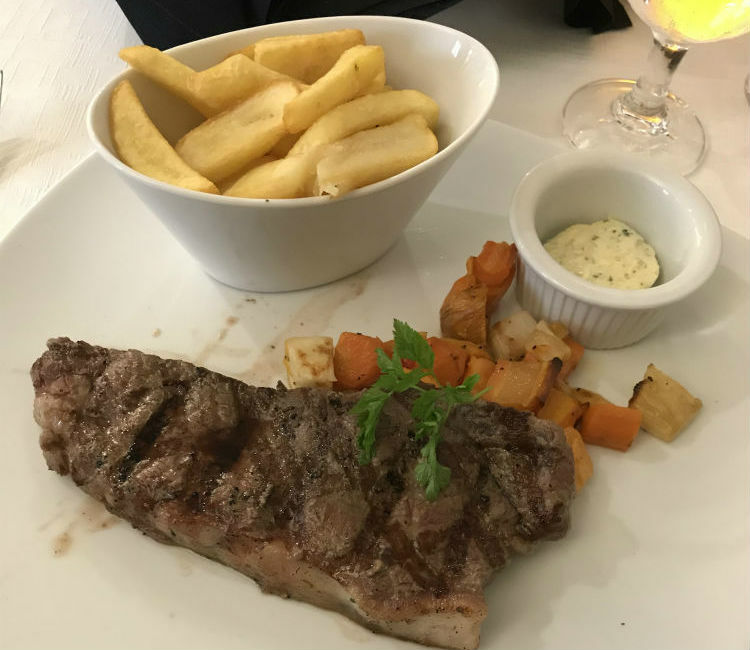 Each night, we dined on steak which was cooked to perfection and came with vegetables, fries and a garlic butter or sauce upon request. There is also plenty of choice for vegetarians and vegans on-board. The service was impeccable on-board, with attentive staff who ensured your every need was taken care of. There were many times where the service went above and beyond during our stay on-board, with staff eager to help where they can at all times. 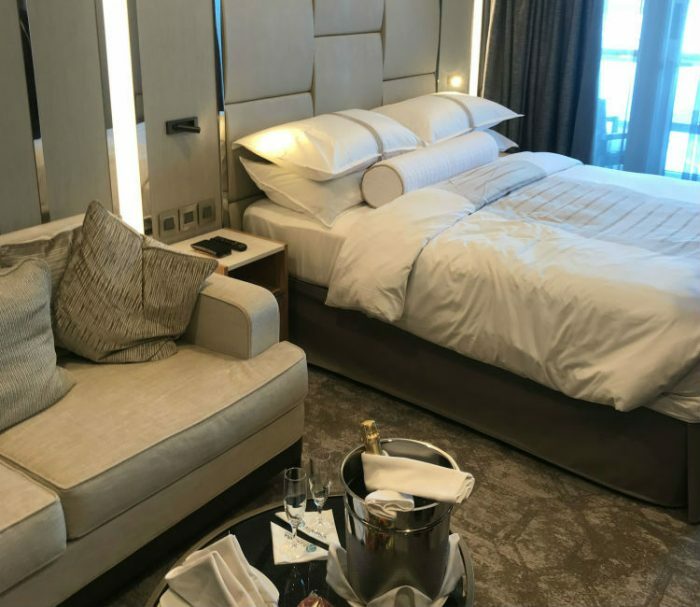 In the evenings, our stateroom was turned down with the curtains drawn, bed made and robes ready – courtesy of our room attendant, Edgar. Waiters and bar staff were efficient, with one member even remembering our drink order from the previous day and making them as we made our way to the bar! Even notices from the Captain over the speaker system were friendly and relatable, making us feel more at home while on-board. AzAmazing! The ship was incredible and we would recommend anyone to book on-board and experience the cruise line for themselves. The service was second-to-none, with friendly and happy staff always on-hand to help with any request no matter how small or large. We feel that guests would receive good value for money and that the service cannot be faulted. 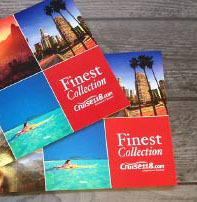 Call our Cruise Concierge team on 0808 202 6105 for award-winning advice and service from our team. How many guests does Amazara Pursuit accommodate please? Hi Becky, Azamara Pursuit accommodates up to 777 passengers with 380 crew. Thanks, Emma.